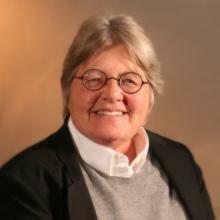 Pamela Gagel worked with IAALS beginning in January 2006, and worked on projects within each of the initiative areas. Gagel served as a Denver District Court magistrate from June 1995 to December 1998 and as an Arapahoe County District Court magistrate from February 2002 through June 2002. During the January 2000 through June 2004 time frame, she worked for the Colorado State Court Administrator’s Office on projects to implement improved practice, policies and procedures in the handling of family cases. Gagel’s civil litigation experience includes practice in the areas of complex commercial, environmental, and employment law as a staff attorney with Holme Roberts & Owen, and as an associate with Kobayashi and Associates. Her private practice experience includes mediation, representation, and child and family investigator services in domestic relations cases. Gagel has taught classes at the Sturm College of Law and the National Institute of Trial Advocacy, and has given numerous presentations on family law procedures. Gagel presently serves as vice chair of the Law Alumni Council of the Sturm College of Law. She served two terms on the board of the Colorado Judicial Institute and five years on the Legislative Policy Committee of the Colorado Bar Association. Gagel served on the Colorado Supreme Court Standing Committee on Family Issues from November 2002 through June 2005. She is also a past president of the Colorado Women’s Bar Association. Gagel received her B.A. degree from the University of Denver in 1975 and her J.D. degree from the Sturm College of Law in 1985. Honors received: 2006 Alumni Professionalism Award from Sturm College of Law; 2000 Metropolitan Volunteer Lawyers honoree.